Bangladesh Tanners Association (BTA) urged on Sunday the revenue authority to declare tax holiday for next seven to ten years for tannery factories that have been relocated to the Savar Tannery Estate. They also proposed the National Board of Revenue (NBR) to slash value added tax (VAT) rate from 15 per cent to 7.5 per cent on imported chemicals used in export-oriented leather industry in the next budget for fiscal year (FY) 2018-2019. Meanwhile, Bangladesh Agro-Processors' Association (BAPA) proposed NBR to continue cash subsidy on export of agro products till 2022 by increasing the rate from 20 per cent to 30 per cent. The demands were made at a pre-budget meeting with businesses from agro-processing, poultry, chemical, leather and jewellery sectors arranged by NBR at its headquarters in the city's Segunbagicha. Presided over by NBR chairman Md Mosharraf Hossain Bhuiyan, the programme was also addressed by BTA chairman Md Shaheen Ahamed, BAPA president AFM Fakhrul Islam Munshi, and Bangladesh Auto Biscuits & Bread Manufacturers Association (BABBMA) president Md Shafiqur Rahman Bhuiyan. Speaking at the programme, BTA chairman urged the customs authority to provide central bonded warehouse (CBW) facility for the country's leather industry. He said only 30 tanneries enjoy bonded warehouse facility out of 155 relocated tanneries while applications of a good number of companies are still pending due to dilly dallying of authority concerned. Mr Ahamed also demanded tariff exemption on 31 types of leather processing chemicals if the rate is over 3.0 per cent for the small and medium tanners who don't enjoy bonded warehouse facility. Mentioning RMG sector's tax rebate facility on capital machinery import, he said leather sector is now the second largest export earning sector, so it should be given tax rebate facility on importing capital machinery, accessories and other components so that the sector can recover post-rehabilitation challenges. 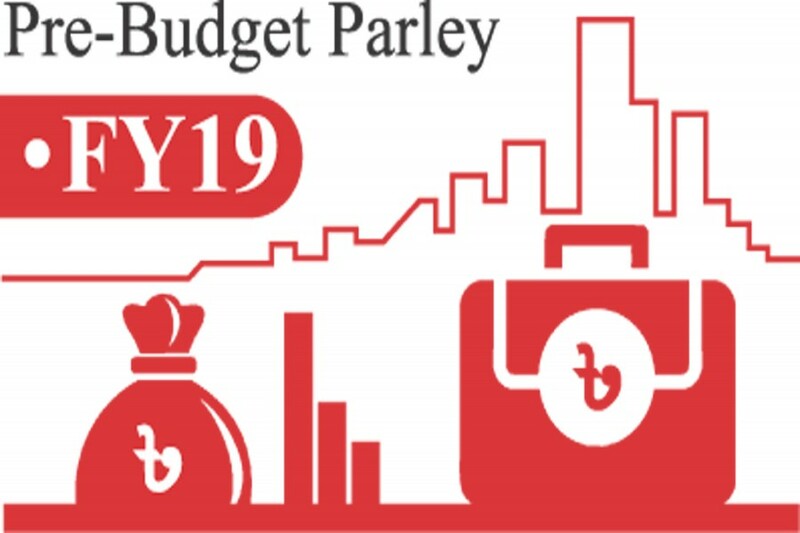 Pressing the budget proposals of agro-processors, BAPA president said the government has been providing cash subsidy to the sector which should be extended for next five years till 2022. He also demanded raising the rate of subsidy on processed agro-products to 30 per cent from existing 20 per cent from the next FY. Terming quality control of processed food the single most important issue in the agro-processing industry, Mr Munshi said the government can establish a world-class laboratory for BAPA under public-private partnership (PPP) scheme and should allocate funds for research and development (R&D) in the sector. Bangladesh Cold Storage Association president Mosharaf Hossain Pusti demanded cut in the income-tax on agro-based cold storages from 35 per cent to 10 per cent. He also proposed 20 per cent rebate on the electricity bills paid by the cold storages in the next budget. Agricultural Machinery Manufacturers Association-Bangladesh also demanded reduction on income-tax on their profit from 35 per cent to 10 per cent. Speaking at the programme, BABBMA president proposed slashing import duty on RBD palm kernel oil and malt extract from 25 per cent to 10 per cent, dehydrate chives, coco powder and cake gel 28 per cent to 10 per cent and liquid glucose from 48 per cent to 25 per cent. He also urged the NBR to lower tariff value on per kilogram machine-made crackers, digestive and chocolate biscuit from Tk 120 to Tk 100, cream biscuit from Tk 100 80 and dry-cake and other biscuits from Tk 85 to Tk 65. Meanwhile, Bangladesh Bread Biscuit-O-Confectionery Prostutkarak Samity, a platform of manually operated bakery and confectionaries, proposed the revenue authority to withdraw VAT on all kinds of bread and per kilogram biscuits priced up to Tk 150 instead of existing Tk 100. Bangladesh Poultry Industries Coordination Committee (BPICC) and Feed Industries Association of Bangladesh proposed NBR to withdraw 10 per cent regulatory duty on import of soybean meal and removing all kinds of import duty on maize as local producers can only meet half of the sector's demand. Bangladesh Jewellers Samity at the meeting proposed to reduce net VAT on sale of gold, gold ornaments, silver and silver ornaments from 5.0 per cent to 1.5 per cent. The samity also demanded a cut in the duty on per bhori gold (10.664 gram) from Tk 3,000 to Tk 1,000 and withdrawal of existing 4.0 per cent advance trade vat (ATV) on the precious metal. It also called NBR to slash total tax incidence (TTI) on polished or finished diamond ornaments from existing 150.90 per cent to 89.42 per cent to encourage shaping an export industry in the sector. The jewellers also proposed to allow passengers returning from abroad to bring 200 grams of gold instead of 100 grams without duty by updating the Baggage Rules, 2016.